In current market scenario, driven by an increasing demand for customization and personalization, AI based approaches can be used to obtain the perfect product for you. This article is based on the paper EvoFashion: Customising Fashion Through Evolution and was written in collaboration with Nuno Lourenço, Filipe Assunção, Catarina Maçãs and Penousal Machado. Website @ CDV Lab. Fashion can be used as a way to make yourself noticeable and catch someone’s attention, similar to what is seen in other species, such as peacocks, which use their tails to attract female attention. The products that you purchase and use say a lot about who you are, giving clues about your identity. In the last decade, we have seen computers being used for a variety of tasks, including fashion-related ones. It is already possible to have algorithms judge your sense of fashion, as well as receive fashion advices from artificial agents. But for those of you who prefer choosing your own clothes and do not care about what others (both living and artificial) have to say about your taste, there is also a way of using AI to your advantage without having it saying what you should or shouldn’t wear. Customization is nowadays seen as a way to bring the customer closer to the product, allowing them to obtain unique and personalised items. This feeling of distinctiveness and individuality may, in turn, lead to higher consumer engagement and to a possible increase in loyalty in long term. According to research conducted in 2015 by Deloitte, 36% of consumers are interested in personalized products or services. This value increases to 43% when focusing on 16-24 year olds, and 46% on 25-30 year olds. Moreover, 71% of the interested consumers say that they would pay a premium for it. This shows the huge potential for companies to increase their profits by allowing the customization of their products. This idea of personalization is already being used in physical stores by brands like Burberry or Gucci, and in online shops using interfaces which allow co-design – e.g. Converse or Nike. It usually includes letter engraving and selection of colours and/or materials to specific parts of the product. One example is the Portuguese footwear company Freakloset which reinterprets classic shoe models in a modern manner by introducing new and customizable elements (see Fig. 1). In doing so, an handcraft production process is combined with the possibility of personalizing attributes, such as the sole or the shoe strings, allowing changes in terms of colour and material and giving more control over what is being purchased. Fig. 1 Freakloset customization tool. 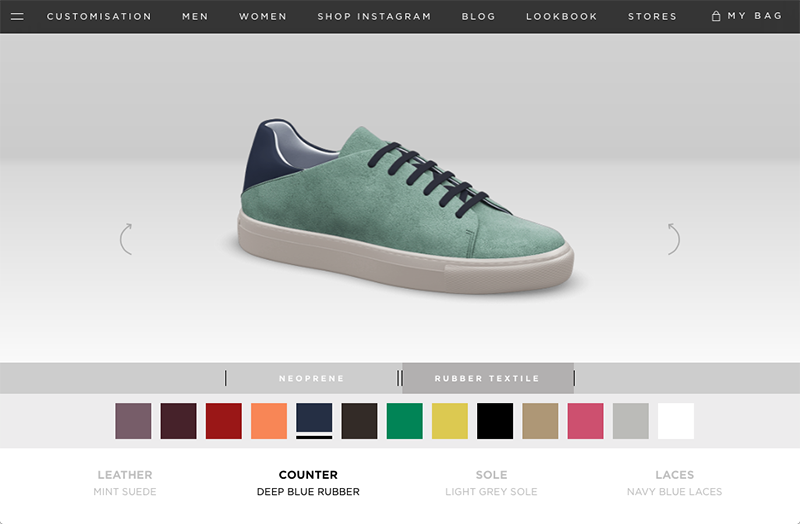 Design your own shoes here. Nowadays, the demand for individuality makes the ability to customize products the solution to satisfy the customer needs for unique and fashionable products, specially in online platforms. Companies which do not offer this functionality may be at risk of losing revenue and customers loyalty. Despite of the presence of this functionality in many stores, it isn’t always employed in an efficient and user-friendly manner. In most cases, customization results in a laborious process, consisting of component picking and question answering to obtain products that reflect the preferences of the customer. In addition, the design customization normally influences other aspects, e.g. price, increasing the complexity of the process. The complex and time-consuming character of this process often leads to user fatigue. On the other hand, individualization is not always the main reason for customization – the customer is often more interested in buying the product that fits exactly its needs and desires. to create graphic design layouts according to a particular style. In the majority of these examples, it is possible to establish the goal (e.g. maximum efficiency) and measure how far we are from it. However, when dealing with fashion, the definition of quality is subjective and depends on the buyer’s notion of aesthetics, making it much harder to define. In such cases, it is common to involve the customer in the evolutionary process and align the objective with the user’s taste and intentions. These methodologies are normally referred to as Interactive Evolutionary Computation (IEC) and have already been used in the fashion domain, e.g. to generate dress designs from separated parts. IEC approaches normally rely on having the user classifying solutions, leading to their improvement and consequently to the evolution towards user taste. One of the biggest issues with such approaches concerns user weariness and classification consistency, i.e., it is difficult for the user to efficiently rank and compare all the individuals in large populations, and keep the same criteria throughout the entire process. This may be one of the reasons why such systems are not yet widespread. Lourenço et al. address this problem, aiming to develop a framework that reduces the need for interaction while still allowing customers to tailor their products through interaction (see Fig. 2). This is accomplished by automating the process through the use of IEC, which relieves the design burden from the user side. Fig. 2 Automatic customization interface developed by Lourenço et al. 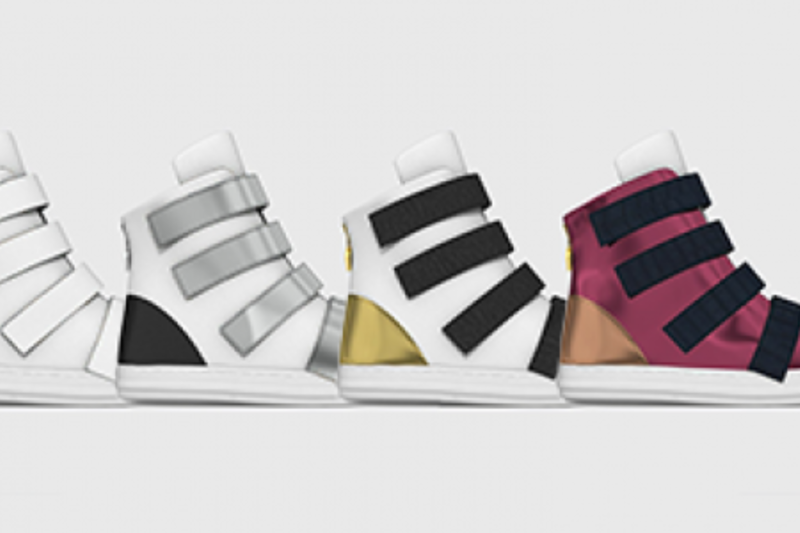 The image shows examples of the evolution of a shoe model with 9 customisable parts, each allowing personalisation of material and colour. 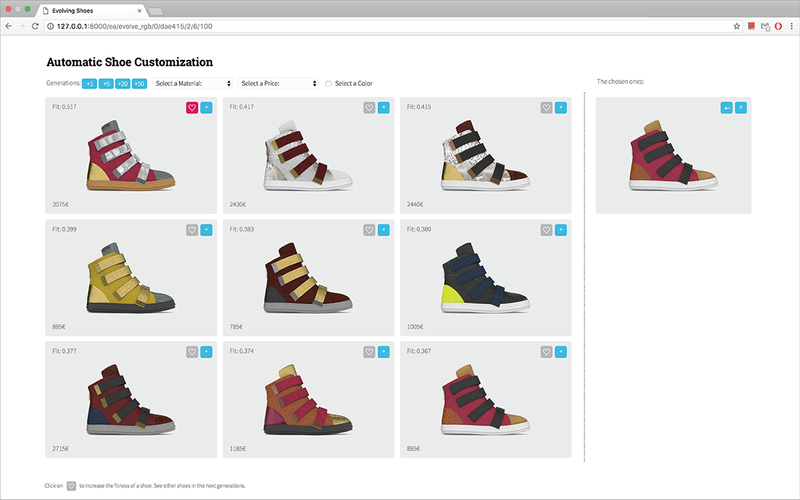 In addition to the user being able to select the shoes that he/she likes the most (user attributed fitness), the framework also allows the specification of filter values, which are used to automatically guide evolution. Three automatic fitness components are used: (i) colour and (ii) material, which promote the evolution of shoes towards the presence of a user-selected colour or material, respectively; and (iii) price, which promotes the generation of shoes within the user-selected price range. The system uses Darwin’s theory of evolution to search for combinations of the components to match the customers preference. The interaction between user and the evolutionary process is facilitated using a web-interface, which allows the selection of two types of evolution: automatic and partially-automatic. The interface allows the user to define different filters (colour, material or price), to improve the fitness of the individuals by clicking on them, and to store them in the archive. The archive is used to store the best solutions, allowing the user to keep track of the most aesthetic solutions and to reintroduce them in the evolutionary process, avoiding the loss of population diversity. Despite focusing on the evolution of the design of shoe models, Lourenço et al. highlight the wide range of applicability in fashion domains. This approach leads to a quicker process of personalisation by automatically measuring the user’s preferences. Its adoption by online stores may not only increase customer engagement but also prove to be a way of, instead of just offering finished products, presenting a base and allow the user to fine-tune it to their own taste. Taking advantage of these AI approaches to guide the consumer to their perfect product seems to be the next step in the fashion industry, creating a bridge between mass production and custom-made products. Lourenço, N., Assunção, F., Maçãs, C., & Machado, P. (2017, April). EvoFashion: Customising Fashion Through Evolution. 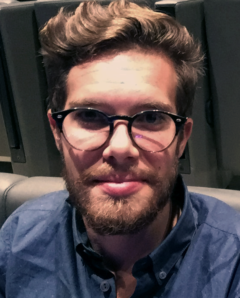 In International Conference on Evolutionary and Biologically Inspired Music and Art (pp. 176-189). Springer, Cham. Kent, T. (2017). Personalisation and fashion design. Design for Personalisation, 17. Caldas, L. G., & Norford, L. K. (1999). A genetic algorithm tool for design optimization. In ACADIA’99. Proc. of 1999 Conf. of the Association for Computer-Aided Design in Architecture, Salt Lake City, UT. Hornby, G., Globus, A., Linden, D., & Lohn, J. (2006). Automated antenna design with evolutionary algorithms. In Space 2006. O’Donovan, P., Agarwala, A., & Hertzmann, A. (2014). Learning layouts for single-pagegraphic designs. IEEE transactions on visualization and computer graphics, 20(8), 1200-1213. Kim, H. S., & Cho, S. B. (2000). Application of interactive genetic algorithm to fashion design. Engineering applications of artificial intelligence, 13(6), 635-644.